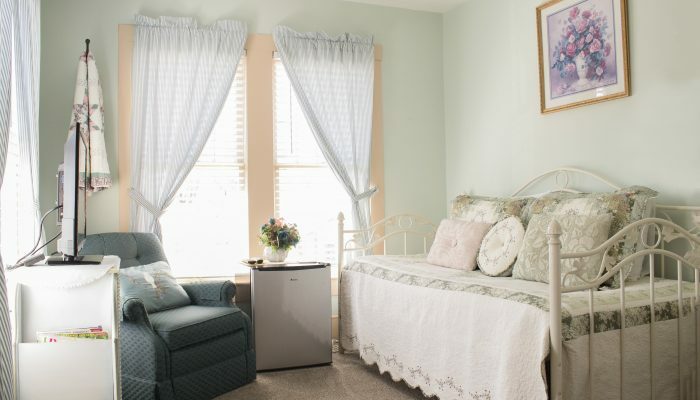 The Azalea Queen Bed Suite is located upstairs at the front of the Wildflower with a view overlooking the Court Square. The Queen bed features soft, silky sheets and plush pillows. 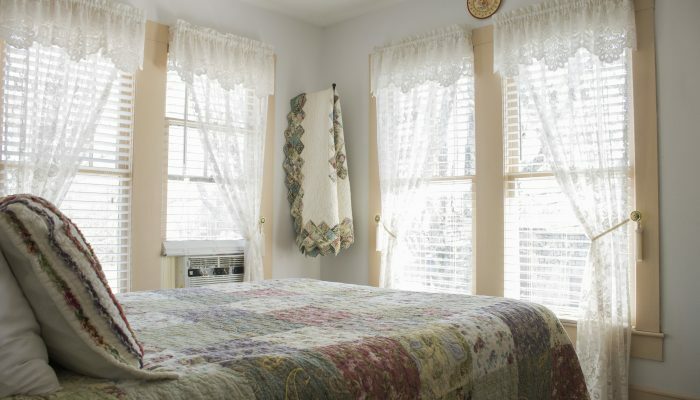 The room is cooled by central AC, but an additional guest controlled air conditioning unit is provided in the bedroom. 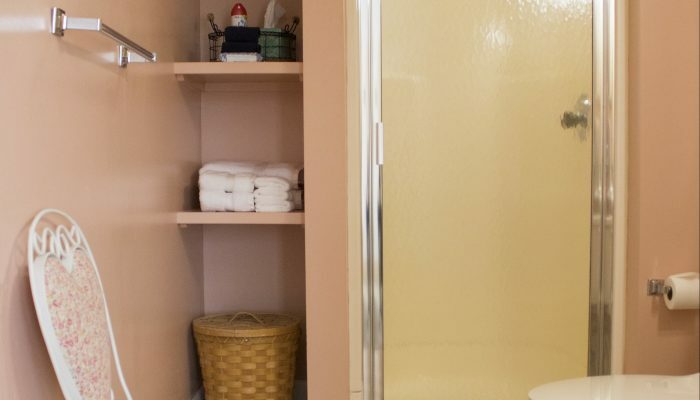 The private in-room bathroom has a pedestal sink, chair-height toilet, and walking shower. 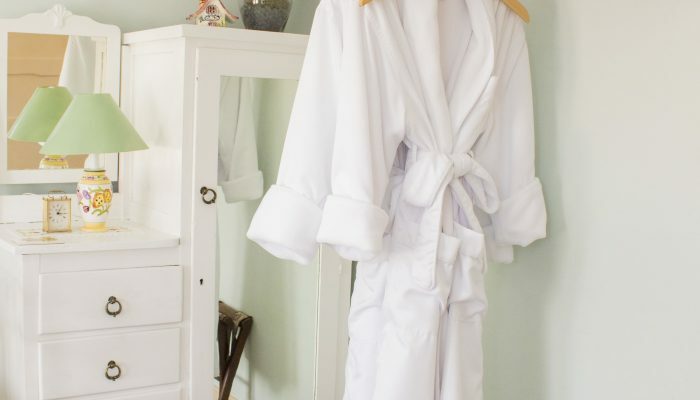 Soft towels and washcloths feel great after a hot shower. The separate sitting room has a twin-size day bed with a high quality mattress. Enjoy relaxing with a large flat-screen TV with DVD player and a mini-fridge to keep drinks and snacks cold. $119 per night for 2. $20 for additional guest. Two-night minimum on weekends Mar to Oct.